What Are You Reading – and Give-Away! 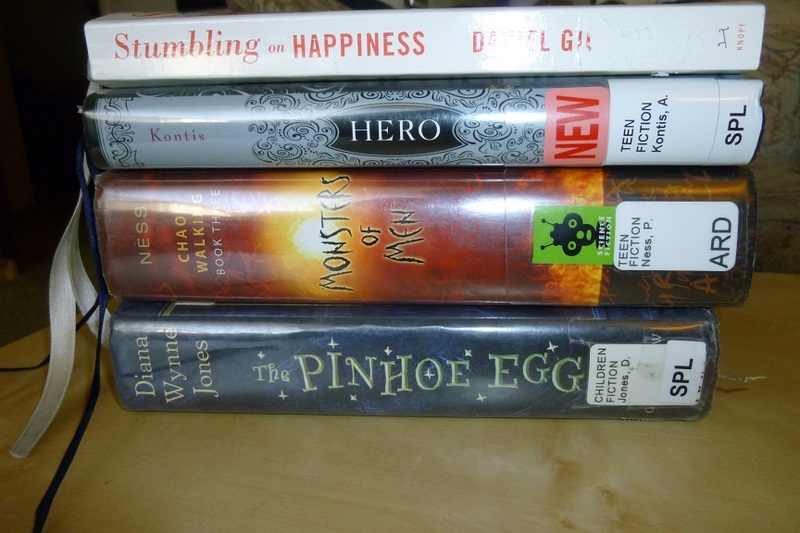 On March 23, 2014 September 27, 2014 By cherylmahoneyIn Novel News, What Are You Reading? With fantasy and fairy tale retellings on my mind, I’ve just started Hero by Alethea Kontis, sequel to Enchanted. Cramming together massive numbers of fairy tales, I look forward to picking out the different threads! I also have the last book in Diana Wynne Jones’ Chrestomanci series to read, The Pinhoe Egg, a fantasy novel that will finish my rereading of the series. Mixing things up with some non-fantasy, I have Monsters of Men by Patrick Ness. I finally read The Knife of Never Letting Go a few weeks ago (a few years after it exploded all over the blogs I follow), went promptly on to the sequel, and am looking forward to the final installment of the trilogy. And in marked contrast to that dystopia read, I’m also midway through the nonfiction Stumbling on Happiness by Daniel Gilbert, all about how the mind works and why the things we expect to make us happy don’t–and vice versa. You might recognize the landscape. You may think you know the rules. But you’ve strayed beyond the tales. 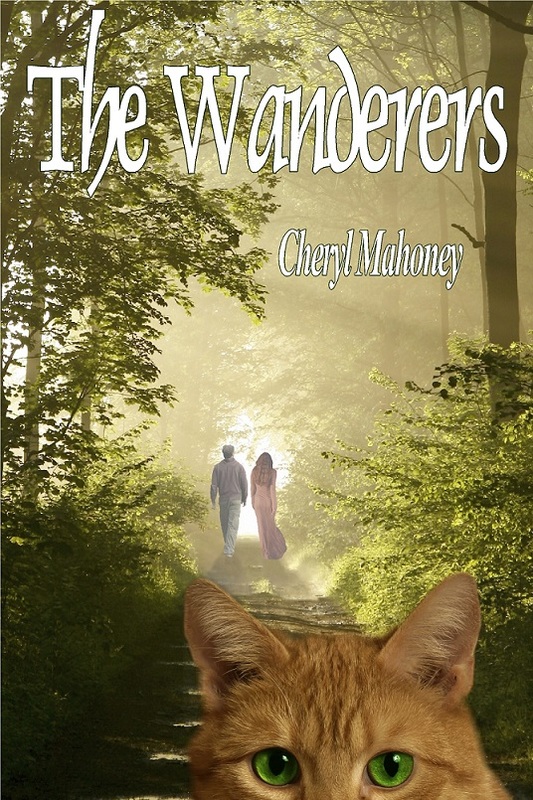 Come join a wandering adventurer, a talking cat and a witch’s daughter as they fight monsters, pursue quests, and learn that sometimes, rules are no help at all. Monsters of Men is so so good. I hope you love it! I keep hearing about Diana Wynne Jones lately, I might give her books a try, even if I’m not really into YA as a genre. Also Patrick Ness is another author I’ve been wanting to try. For as much as I’ve enjoyed the Diana Wynn Jones I’ve read, I never think to search out any more of her books! I really must fix that. It certainly sounds like you have plenty of good reading lined up for Once Upon a Time. Enjoy!